NEW YORK CITY, New York — The Diversity Visa Lottery program has brought more than 20,000 foreign nationals to the United States since 2007 from Iran, a country that the U.S. State Department has recognized as a sponsor of terrorism. Under the Visa Lottery program, championed by former Sen. Ted Kennedy and Sen. Chuck Schumer (D-NY), the U.S. randomly gives out 50,000 visas every year to foreign nationals from a multitude of countries, including those with known terrorism problems – such as Afghanistan, Algeria, Egypt, Ethiopia, Iraq, Lebanon, Libya, Nigeria, Saudi Arabia, Somalia, Trinidad and Tobago, Venezuela, Yemen, and Uzbekistan. Winners have undergone only minor screening from immigration officials, even when their ideology is hostile to America’s laws and culture. Newly released data from the State Department reveals how the Visa Lottery has been effectively used in Iran to move at least 20,739 Iranian nationals to the U.S. permanently. Once these Iranian nationals become naturalized U.S. citizens, they are then allowed to sponsor and bring foreign relatives in Iran to the U.S. through what’s known as “family-based chain migration.” Chain migration accounts for more than 70 percent of all U.S. legal immigration, whereby more than 1.5 million foreign nationals enter the country every year. Over the last half-decade between 2012 and 2016, as Breitbart News reported, 72,794 foreign nationals have come to the U.S. on the Visa Lottery from countries that the Immigration and Customs Enforcement (ICE) agency has designated as terrorist-sponsors. Since 2005, Breitbart News reported, more than half a million foreign nationals have come to the U.S. by randomly winning the Visa Lottery, bringing with them a chain migration of five million foreign nationals since 1994, according to researchers at the Center for Immigration Studies. 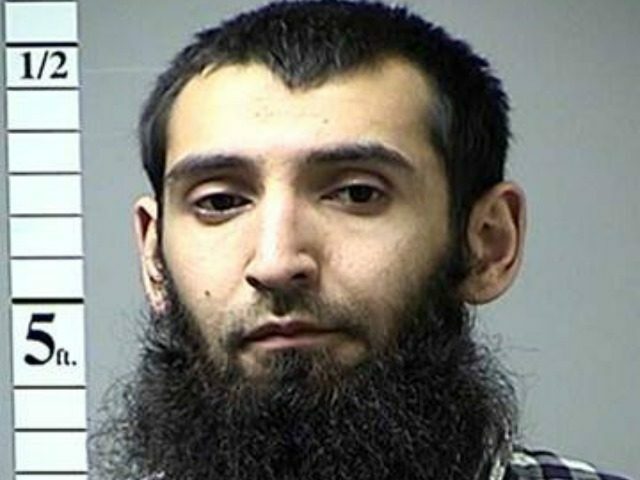 The Visa Lottery was thrown into national headlines most recently after it was reported that Uzbek national 29-year-old Sayfullo Saipov — accused of murdering at least eight individuals in a New York City terrorist attack last month — entered the U.S. in 2010 by winning one of the 50,000 visas randomly allotted every year. This week, the White House disclosed to Breitbart News that besides Saipov, at least five other convicted terrorists or terror suspects originally entered the U.S. through the Visa Lottery. Abdurasul Hasanovich Juraboev, a Visa Lottery winner, who was sentented to 15 years in prison after pleading guilty to conspiring to provide material support to Islamic State terrorists. Egyptian national Hesham Mohamed Ali Hedayet who opened fire at the El Al Airlines ticket counter at LAX airport, murdering two ticket agents and wounding three others. Hadayet first arrived in the United States in 1992, but was only able to claim Lawful Permanent Resident status when his wife was randomly selected as a Visa Lottery winner in 1997. Pakistani national Imran Mandhai who pleaded guilty to conspiring to bomb a National Guard Armory and electrical power substations near Miami. Mandhai was able to immigration to the U.S. because his parents were Visa Lottery winners. Pakistani national Syed Haris Ahmed who was convicted of terrorism-related activities in the United States and abroad. Ahmed entered the U.S. as a Visa Lottery winner. U.S. Hamas leader Mousa Mohammed Abu Marzook who was deported for terrorist activities. Marzook received a Green Card through the predecessor program to the Visa Lottery.